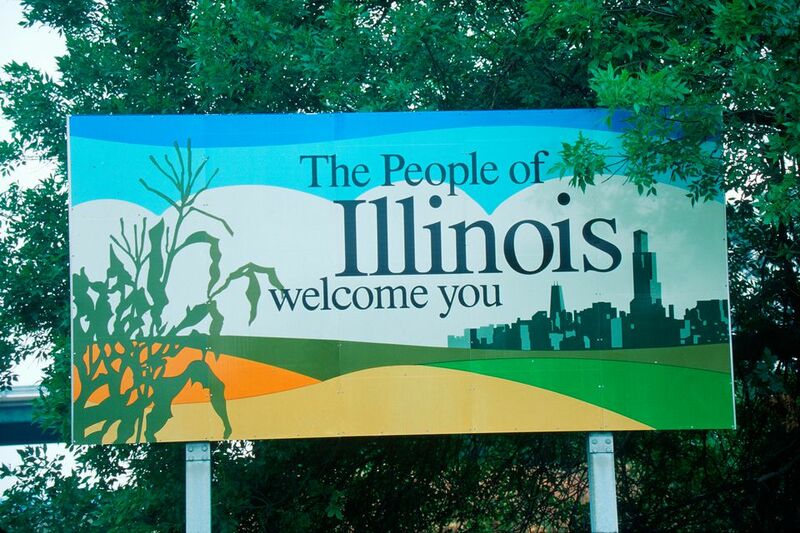 The state of Illinois is filled with many citywide, community, and highway yard sales. While there are a number of opportunities to find great deals and antique treasures at sales in your local area, there are a few well-known annual sales that stretch across the state. If you love to hunt for bargains, be sure to add these events to your list. Hunt for treasure over more than 800 miles of yard sales along historic U.S. Route 40 at the Historic National Road Yard Sale. Typically held Wednesday through Sunday in late May to early June, the yard sale route spans from Baltimore to St. Louis. In Indiana, the road is known as "Antique Alley" and many great venues can be found along the Illinois stretch as well. In Illinois, U.S. Highway 40 follows Interstate 70 for the most part. It begins at the Indiana border, just west of Terre Haute and stretches southwest to St. Louis and the Missouri border. The Lincoln Highway was once called the Main Street of America. Today it is home to the huge Lincoln Highway Buy-Way Yard Sale. Held annually since 2005, the Lincoln Highway Buy-Way Yard Sale stretches across Ohio into the surrounding states of Indiana, Illinois, and West Virginia. The event typically occurs the second weekend of August, starting on Thursday and finishing up on Saturday. Not only do private individuals participate in the sale, many antique shops do as well. Just a small section of the highway can provide you with a full day's worth of bargain shopping. The historic Lincoln Highway zigzags across the northern part of Illinois, so there's no single modern highway to help direct you. Instead, follow the maps found on the Illinois Lincoln Highway Association's website. The historic city of Lincoln is the home of the Route 66 Garage Sale. The citywide garage sale takes place each June, typically over the second weekend. While you can stop by the many garage sales in the community, there are also a few flea markets staged around the area. Lincoln's central location in Illinois also makes this a great day trip from Bloomington, Decatur, Peoria, and Springfield. Bargain hunt along 40 miles of Illinois highway at the Route 75 Garage Sales each June. The sale ranges from Freeport to South Beloit near the northern border with Wisconsin and is typically scheduled for the first weekend of the month. There is no shortage of places to stop along this shorter stretch of highway. Individuals along the route host garage and rummage sales at their homes and a number of venues are set up for flea market-style shopping. A few of the towns along the trail also offer community events, so there's something to do when you need a break from all those great deals.